Managing test cases with monolithic Word documents. 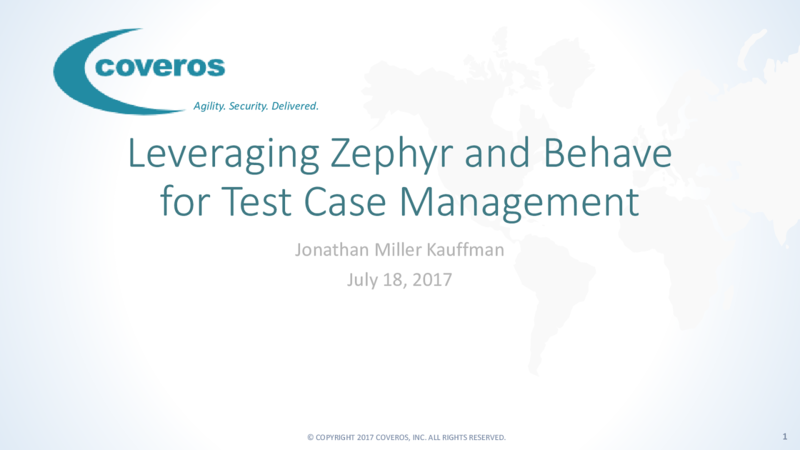 Managing those same test cases in Zephyr. Writing those same test cases using the Behave framework. Maintaining a master copy of the test cases in Zephyr while storing the implementation of each test step in version control. This presentation will also discuss a tool that was used to generate Behave feature files from Zephyr test cases and how that tool was integrated into both testers' workflows and the CI/CD pipeline. Jonathan puts presentations on for free. You can too.